Windows Phone always trails behind iOS and Android devices when it comes to Apps and Games. Vine was released and is being by both Android and iOS users. Twitter as of yet hasn't launched 'Vine' been launched for Windows Phone 8 but there are die hard developers who come with their own versions to suit the users needs. One such developer, Rudy Huyn has come out with a nifty little App aptly called 6Sec for Windows Phone 8 and it is free too. 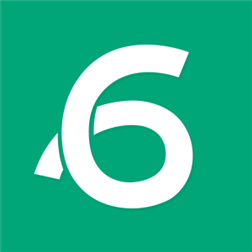 6sec is still in beta stage and is currently receiving daily doses of updates based on the feedback from Windows Phone users. And with the latest updates it seems more and more like 'Vine.' The app lets you create and upload Vines, share them on your Twitter timeline and gives you live tiles of the app on your phone. The system, says WPCentral, does not involve any “hacked” APIs. Instead, 6sec, quite like Instagraph, involves using a relay server to push videos to Vine’s servers. Though the App is not quite 'Vine' but till 'Vine' is officially launched 6Sec can have its days of glory. 6sec looks quite like how the video looping app should look like on the platform and beggars can't be choosers so if you have a Windows Phone 8 you can download it right here.